Classroom 3D01 seats 59, which is the largest class size for any course the department offers. The instructor can draw upon a wide array of audio-visual teaching aids in this room, all controlled from a central unit at the front. Computer Lab 3D03 contains 30 computer workstations running Windows 7. Main applications include MS Office 2010, Visual Studio, Visio, JDK, and SQL Server client, etc. This room also has full audio-visual capabilities and doubles as a classroom, for many Applied Computer Science courses. Students enrolled in the Senior Systems Development Course have access to the Project Lab 1D01, equipped with 15 workstations supported by the ACSNet network. Each team in the "Project Course" has dedicated space in this lab, and spends many hours there during the academic year developing a fully-functional system for their project sponsor. 3D02 and 4C68 are the offices/lab spaces for our graduate students. The PCs in these rooms are capable of running advanced application packages, like MATLAB, etc. In addition to the facilities housed in the Duckworth Centre, the Department also maintains another computer lab. Computer Lab 3C13 (right) is a general lab running Windows 7-based PCs. It is open to students of our department when it is not occupied by courses /lab sessions. Authorized students can access the lab using key cards issued by the department. This lab is monitored by a security camera. 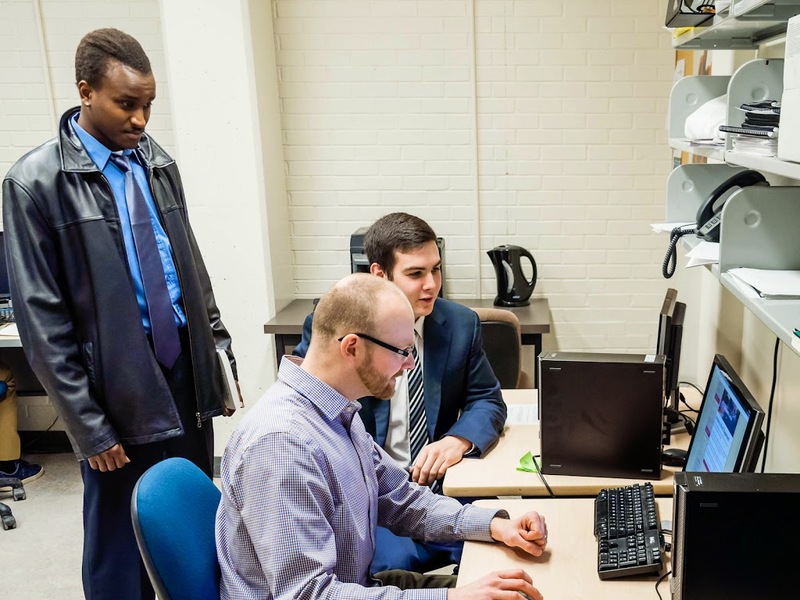 All University of Winnipeg students, including those in the Applied Computer Science department, have access to the University's "Uplink Computer Common" lab on the fourth floor of Centennial Hall. This is the largest computer lab on campus, with 50 computers. Printers and scanners are are also available.